Evanston Fire Chief Brian Scott responds to the scene of a fire that broke out in a garage in the 600 block of Ridge Avenue on February 28, 2018. Scott said closing Station 4 would cause an increase in response times across the city. Closing Fire Station 4 would not only impact response times in southwest Evanston, but possibly have a “cascade effect” throughout the city, according to Evanston Fire Chief Brian Scott. Station 4 — located at 1817 Washington St. — is in the 2nd Ward and services the southwest region of Evanston. The city’s proposed 2019 budget contains a $1.2 million cut to EFD — which would result in the elimination of nine department positions and the shutdown of Station 4. The suggested reduction is the largest for any city department and follows a 2018 budget cut of $288,762 for the Evanston Fire Department. Evanston and Northwestern are currently serviced by two ambulances and seven firefighter/paramedic-staffed vehicles — five engines and two trucks. According to the proposed budget, after Station 4 is shut down, its fire engine will also be removed from service. Since the budget proposal was released on Oct. 5, residents, aldermen and firefighters have expressed concerns with the proposed closure of the station, citing concerns of increased response times. Scott said the response times in the area currently served by Station 4 would generally increase by around 50 percent, if all on-duty firefighters in the area are available and in station. The current response time in Evanston is on average three minutes and 15 seconds, well below the national average of four minutes. The closure, Scott said, would add roughly one to two minutes of response time to calls. Scott said since 45 percent of calls occur concurrently with others, if one station is removed, resources must be pulled from farther away. EFD bases its response times off of a phenomenon called “flash over” — which describes the point when during a confined fire, everything in the room would combust. Scott said this threshold is typically at eight minutes after the start of the fire. EFD bases its response and dispatch times off this threshold, Scott said. 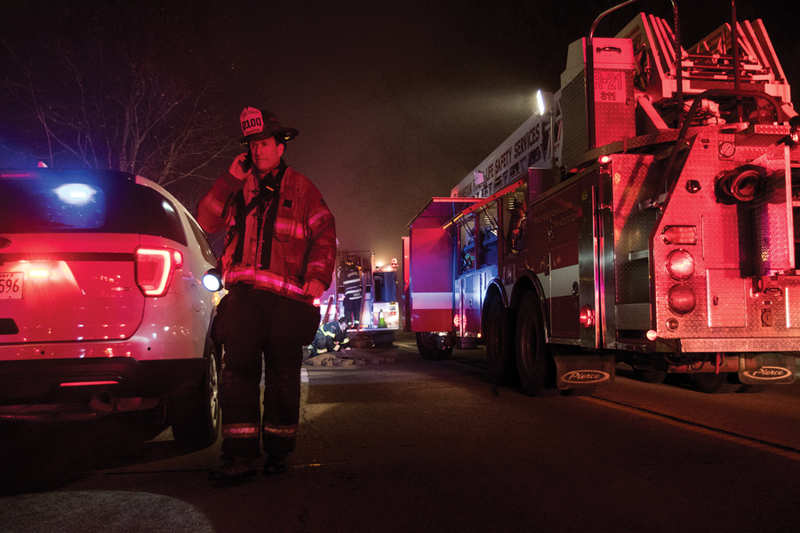 In total, EFD employs 110 full-time staff — 107 sworn employees and 3 civilian support staff — which places Evanston in the top 0.007 percent of U.S. fire departments. Evanston also has two hospitals which are classified as level-one trauma centers. Currently, the department operates with a daily minimum staffing standard of 26 personnel during each 24-hour shift, which ensures that all frontline fire and emergency service vehicles are staffed, Scott said. Scott said this level of staffing is sufficient for response to fires in low-hazard structures — like single-family homes — according to National Fire Protection Association standards, but falls short for commercial buildings and high rises. In cases of larger emergencies, he said, Evanston coordinates with neighboring communities’ fire departments. Closing Station 4, and thus eliminating the active personnel who serve there, would make the city fall shorter on the standards for medium and high-hazard structures. Going forward, Scott said he is committed to working with city staff and aldermen to find ways of reducing expenses for EFD without closing Station 4.